Amir Square, 51111, Elobeid, Sudan. 01.01.1963 Ghibaish, North Kordofan, Sudan. University of Kordofan, P.O Box 160. Elobeid, Sudan. Lecturer at Department of Forestry and Range Sciences, Faculty of Natural Resources & Environmental Studies, University of Kordofan Elobeid, Sudan. Teaching Assistant at Department of Forestry, Faculty of Agriculture, University of Khartoum, Khartoum, Sudan. Institute of International Forestry and Forest Products, Technical University of Dresden, Germany, 1999. Faculty of Forestry, University of Khartoum, Ministry of Higher Education and Scientific Research, Khartoum, Sudan 1993. B.Sc. (Honors) class one in Forestry. DAAD Summer School on Climate Change, Welcome to Africa Project, Wondo Genet, Hawassa University, Ethiopia. Scientific Cooperation Network on Climate Change Adaptation, DAAD Summer School Workshop, Welcome to Africa, University of Khartoum and University of Kordofan, Sudan. Training Course on the Geographical Information Systems (GIS) and Remote Sensing: Introduction, Principles and Applications. Training and Information Unit, Faculty of Forestry, University of Khartoum, Shambat, Sudan. Training Course on Change Management, 25 – 28 May 2008. International Center for Quality, Khartoum, Sudan. Development of Networking between DAAD Alumni in South East Africa. Training, Information and Communication Unit, University of Khartoum, Sudan. Training Course on Application of Geographical Information Systems (GIS) and Remote Sensing in Management of Natural Resources. Sudan University of Technology and University of Kordofan, Sudan. Advanced Training on Capacity Building of University Staff. Training Unit, University of Khartoum, Sudan. Advanced Course on Training of Trainers (TOT). Training and Information Unit, University of Kordofan, Sudan. Training of Trainees (TOT). 27 November – 2 December 2005, Higher Institute for Accounting and Financial Studies, University of Kordofan, Elobeid, Sudan. Preparation and Formulation of Training Material. 24 29 December 2005, Higher Institute for Accounting and Financial Studies, University of Kordofan, Elobeid, Sudan. German Language Course, Goethe Institute, Goettingen, Germany. National Strategic Planning at National, Regional and International Levels, Quality and Strategic Planning Unit, University of Kordofan, Sudan. DAAD Alumni Workshop on Chances in Sustainability (Chains), CHAINS Project, Wondo Genet, Hawassa University, Ethiopia. Workshop on BAOFOOD: Enhancing local food security and nutrition through promoting the use of Baobab (Adansonia digitata L.) in rural communities in Eastern Africa, partnership between Europe (Germany) and East Africa, held in Rein Wall University, Kleve, Germany. Tropentag Conference, International Research on Food Security, Natural Resources Management and Rural Development, Agricultural Development within the Rural-Urban Continuum, University of Hohenheim, Stuttgart, Germany. Tropentag Conference, World Food System, A Contribution from Europe. Yurich, Germany. Workshop on Interdisciplinary Approach in Natural Resource management, DAAD Project 53. Organized by University of Kordofan-Sudan in Collaboration with TU Dresden-Germany, Moi University- Kenya and Debub University- Ethiopia. 9 – 14 Sept. 2007, Kordofan University, Elobeid, Sudan. Modernizing Teaching Modules on Natural Resources and Agricultural Sciences, Moi University, Eldoret, Kenya. DAAD Regional Workshop on Collaboration between DAAD Alumni in South East Africa, University of Kordofan-Sudan, TU Dresden-Germany, Moi University- Kenya and Hawassa University- Ethiopia,organized by University of Kordofan, Elobeid, Sudan. Member of Staff Affairs Office of Faculty of Natural Resources and Environmental Studies, University of Kordofan. Member of Eco-peace and Environmental Resource Management Project, North Kordofan State. 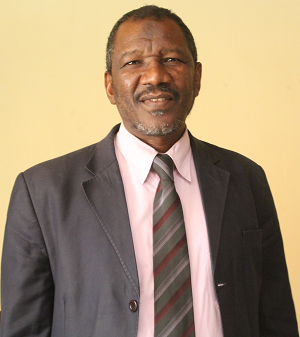 Member of Advising Board, Ministry of Agriculture, Livestock and Irrigation, North Kordofan State, Sudan. Advanced Training in Computer and Data Analysis (220) hours, Information Technology Unit, Kordofan University, Elobeid, Sudan. Taha, Mohamed El Nour; Bekele, Tsegaye; Siddig, Faiza. Participatory management of natural community forests: the case of El Ain natural forest management project, North Kordofan, Sudan. American Journal of Research Communication, 2014, 2(1): 212-233} www.usa-journals.com, ISSN: 2325-4076. Taha Mohamed El Nour , Tsegaye Bekele, Elgaleem Ahlam. The Role of the Cooperative Societies of Gum Arabic Producers in Promoting Gum Arabic Production and Marketing in North Kordofan State, Sudan. International Journal of Agriculture, Forestry and Fisheries. Vol. 1, No. 1, 2013, pp. 11-16. Taha Mohamed El Nour , Bekele Tsegaye, Hammad Zeinab Mohamed. Socio-Economic Conditions Influencing the Decision of Communities to Retain Gum Producing Stands in the Gum Belt of the Sudan. International Journal of Agriculture, Forestry and Fisheries. Vol.2, No.1, 2014, pp.1-7. Muneer E. S. Eltahir, Mohamed. E. Taha , E. H. M. Elowni and Hatim M.A. Elamin (2013): Managing and Developing Resources Available in Elain Reserved Forest for Eco-Tourism, North Kordofan State, Sudan, Scientific Cooperation Network on CCA in East Africa, Proceeding of the summer-school Workshop, Welcome to Africa, ELL print, Tharandt, Germany, ISBN 978-3-942934-03-9. Online available htt://tu-dresden.de/die_tu_dresden/fakultaeten/fakultaet _forst_geo_und_hydrwissenschaften/fachrichtung_forstwissenschaften/institute/inter/tropen/forschung/proceed . H. M. A. Elamin, M. Roth, Mohamed. E. Taha (2008):The Consequences of Defoliation of Gum Arabic Tree (Acacia senegal) by Sahelian Tree Locust (Anacridium melanorhodon melanorhodon) for the Gum Producers in North Kordofan State, Sudan, Tropentag 2008 University of Hohenheim, October 7-9, 2008, Conference on International Research on Food Security, Natural Resource Management and Rural Development. Mohamed El Nour Taha , Jürgen Pretzsch (2013): Socio-Economic Role ofAcacia senegalto Sustainable Development of Rural Areas in the Gum Belt of Sudan, Tropentag 2013, September 17 - 19, Stuttgart-Hohenheim, Germany. "Agricultural development within the rural-urban continuum" http://www.tropentag.de/2013/abstracts/links/Taha_uuKbppNU.php. Mohamed El Nour Taha, Ihlam Elgalim Abdelhamid, Mahmoud Ali Amaseb (2010): The Role of Cooperative Societies of Gum Arabic Producers in Promoting Gum Arabic Production and Marketing in North Kordofan State, Sudan, Tropentag 2010, September 14 - 16, Zurich, Germany. "World Food System - A Contribution from Europe", http://www.tropentag.de/2010/abstracts/links/Taha_LxGXRXt8.php. Taha, Mohamed El Nour (2006): The socioeconomic Role of Acacia Senegal in Sustainable Development of Rural Areas in The Gum Belt of the Sudan. Institute of International Forest and Forest Products- TU Dresden. Addprint AG, Bannewitz/Germanz, ISBN 3-9809816-4-9. Tarig E. Mahmoud, Mohamed E. Taha and Makeen A. Makeen (2013): Role of Gum Arabic Stakeholders at Elobied Crops Market under Different Policy Measures, Welcome to Africa, Scientific Cooperation Network on Climate Change in East Africa, Proceeding of the summer-school Workshop, Welcome to Africa, ELL print, Tharandt, Germany, ISBN 978-3-942934-03-9. Online available htt://tu-dresden.de/die_tu_dresden/fakultaeten/fakultaet _forst_geo_und_hydrwissenschaften/fachrichtung_forstwissenschaften/institute/inter/tropen/forschung/proceed. Taha, Mohamed El Nour Taha (1993): Social, Managerial and Financial Aspects of Irrigated Eucalyptus Plantations in Sudan. Department of forestry, faculty of Agriculture, University of Khartoum, Main Library, 93/M.Sc 23. Value Added of Gum Arabic Processing in Sudan. Impacts of Internally Displaced Population on the Tree Cover at Elgeneina Locality, West Darfur State – Sudan. Contribution of Rural Community Practices to Environmental Conservation in North Kordofan State, Lessons from Three Traditional Systems. The Role of Rural Women in Resource Allocation in North Kordofan State, Sudan. Promoting the Use of Baobab (Adansonia digitata L.) in Rural Communities in Eastern Africa. Valuation of Environmental Role of Acacia senegal Tree in the Gum Belt of Kordofan and Blue Nile Sectors, Sudan. Climate Change as part of Welcome to Africa Project: DAAD Project in Collaboration with TU Dresden-Germany, Khartoum University-Sudan, Hawassa University-Ethiopia, Uganda and Tanyania. DAAD Project. Chances in Sustainability (CHAINS Project, Gum Arabic) in Collaboration with TU Dresden-Germany, Khartoum University-Sudan, Hawassa University-Ethiopia, Uganda and Tanyania. DAAD Project. BaoFood Research Project: in Collaboration with Rein Waal University-Germany, Khartoum University-Sudan, Kenya, Uganda and Tanzania. Baobab Project. Professor Dr. Mohammed Elkheir Abdelrahman, Vice Chancellor, University of Sennar, Sudan. Handy: 00249 912333245. Associate Professor Dr. Tarig E. Mahmoud, Gum Arabic Research Centre, University Principal, University of Kordofan, Elobeid, Sudan.